Former Enugu Rangers star, Henry Obiekwu, slumped and died after complaining of severe chest pain while playing a friendly in Enugu Monday. Former Super Eagles defender Kingsley Obiekwu aka ‘Shagari’ confirmed the passing of his younger brother Henry. 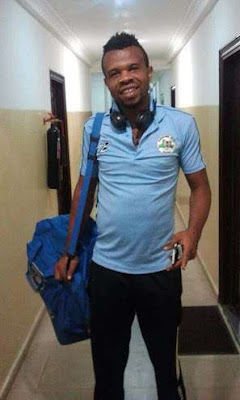 Eye witnesses said right fullback Henry asked to be replaced during the friendly match with his youth team Samba FC at the UNEC Stadium in Enugu Monday morning after he complained of severe chest pain. He later slumped and was rushed to several hospitals before he was confirmed dead at the Eastern Nigeria Medical Centre in Enugu. FC Taraba was Henry’s last club.